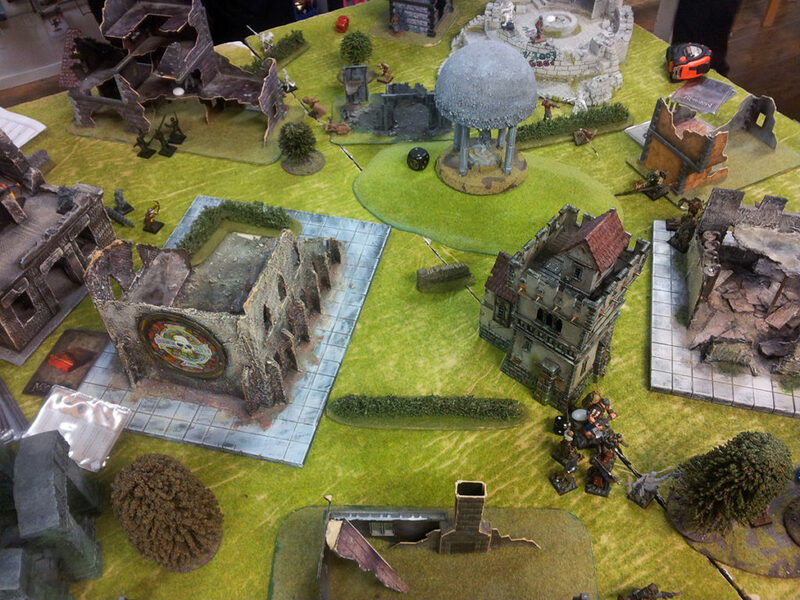 The Mordheim Campaign I’m playing in Joensuu is ongoing. After a dozen of games, my warband starts to be a hard opponent (of course, depending on the dice). Fortunately, Wichthunters warband can be formed by maximum 12 miniatures, so I don’t have excuse to completly paint it! With these models I have tried to simulate a dark enviroment…a classical Mordheim atmosphere! I have painted almost all miniatures during my Holidays in Spain, excepting three zealots. I will hopefully paint these three guys in the following weeks. To paint these models I decided to simulate a dark and dirty atmosphere. The idea was to represent the real conditions of Mordheim after the impact (and before, right! ), a ruined and pestilent city. To achieve this goal I have used an wide brownish color palette, where chocolate brown from Vallejo plays a key role. Basically, I have mix every color with chocolate brown to get a dark tone. I specially like faces, because I was afraid of this point. I have changed my classical recipe for skin (tan and dwarf sking from Vallejo Game Color). Instead of tan I have used beige brown such as base color, and then I have worked on lightings with Dwarf Skin, and finally, golden yellow. To remark the shadow areas I have applied a thin layer of chocolate brown (yeah, once more!). On the other hand, Angusin discovered me an amazing color from Citadel: Blood for the Blood God. An AMAZING color. I cannot use a different word to define this jar. The glosiness and texture is amazing. 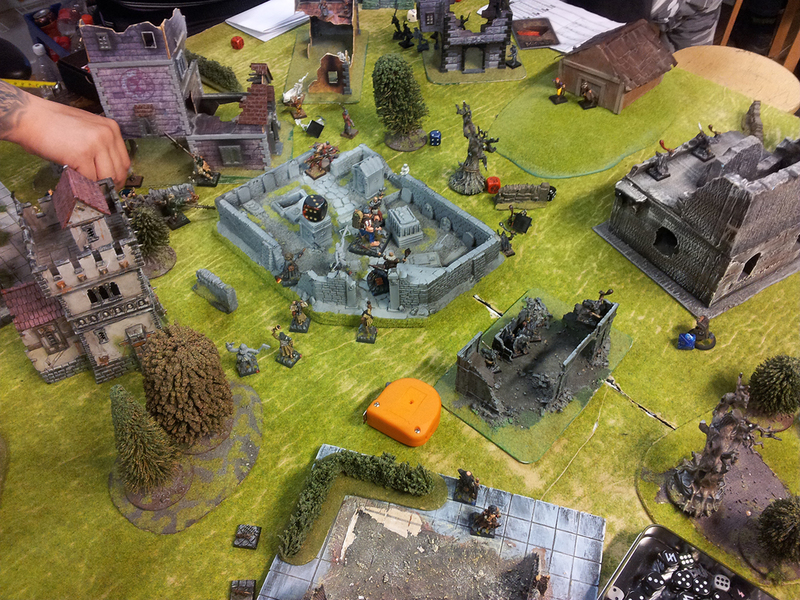 Finally, here you can see a couple of picture of our multiplayer Campaing! And you can find the original Wichthunter warband proyect here.